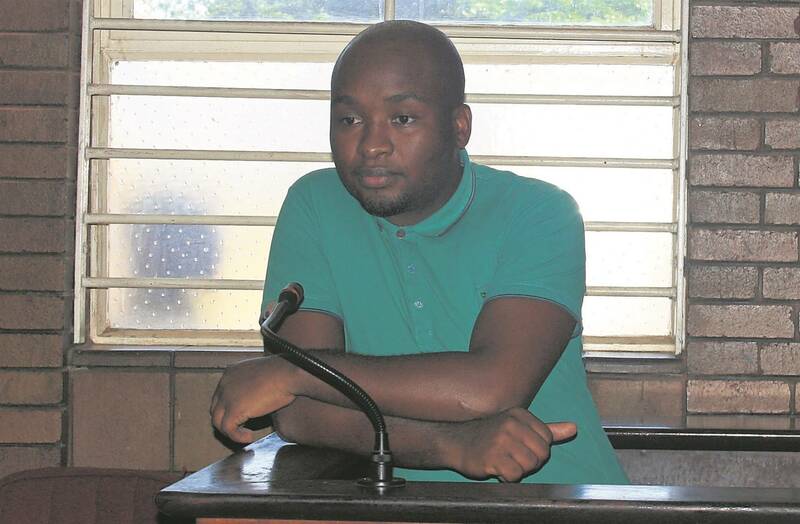 Money changed hands between the men accused on trial for the murder of ANCYL secretary-general Sindiso Magaqa shortly after he was shot in July 2017, the Umzimkhulu Magistrate’s Court heard on Tuesday. Cross-examining one of the four accused in the case, Mbulelo Mpofana, during his bail application, state prosecutor Sohana Moodley told the court that the state will lead evidence showing that Mpofana handed the other accused R94 000 in cash on the day Magaqa was ambushed. “Witnesses will tell the court that after the hit was done you met some of the accused in Berea, Durban, and gave them R94 000. “If the witnesses were to be believed, you planned the murder and paid for it,” she said. A former minibus taxi owner, Mpofana had earlier told the court that on the day Magaqa was murdered he drove to Harding from Durban and then drove back the same day. Mpofana, who hails from Harding, said he had gone there to prepare for a traditional ceremony. He drove back to Durban on the same day despite the fact that the ceremony was scheduled to take place the next day. Mpofana, who denied giving R94 000 to the other accused, said he had to drive back to Durban the same day to collect money from his taxi drivers. Magaqa, who was an Umzimkhulu Municipality councillor at the time of the shooting, was ambushed in a parking lot in Umzimkhulu. Umzimkhulu councilllors Nontsikelelo Mafa and Jabulile Msiya, who were in the same car as Magaqa during the shooting, sustained injuries during the attack. Co-accused in the case include former Durban policeman Sbonelo Myeza, who admitted he was in Umzimkhulu on the day Magaqa was shot, and Mlungisi Ncalana. The three were charged initially with former Harry Gwala Mayor Mluleki Ndobe — who was later released following the state’s decision to provisionally withdraw the murder charges against him. Mpofana, who denied knowing or having anything to do with Magaqa’s murder, admitted to knowing the other accused. Moodley told the court that the state had further evidence showing that Mpofana had separately given Myeza R15 000. While Mpofana admitted that he had given some money to Myeza, he denied it was R15 000. “It was somewhere between R7 000 and R8 000 — it was a loan,” he said. Moodley told the court that cellphone records will also show that Mpofana, who according to the state had five cell phones registered under his name, had been in constant contact with the other accused around the time of Magaqa’s murder. “You were the go-between person linking those who wanted the hit to take place and the hitmen,” Moodley said. The bail application will resume next Tuesday.